Google unveiled Chrome OS in an event yesterday where they demonstrated the upcoming cloud-based OS for the first time in public. Source code of Chrome OS was also released which folks over at gdgt have compiled in a ready-to-install .vmdk file. 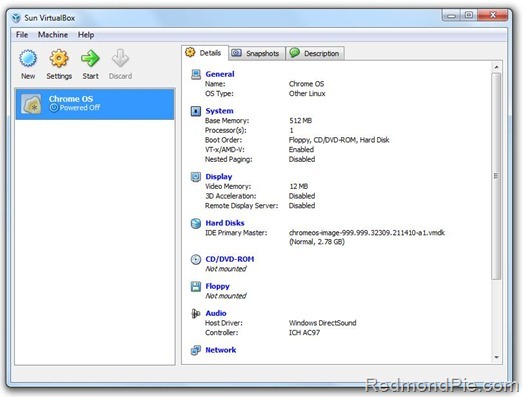 All you need now is a system running Windows, Linux or OS X with any of the virtualization software like VMware or VirtualBox installed to get Chrome OS running within minutes. Chrome OS VM running under Windows 7. Click here to see the image in high resolution. The following guide will help you install and run Google Chrome OS in VirtualBox under Windows 7. 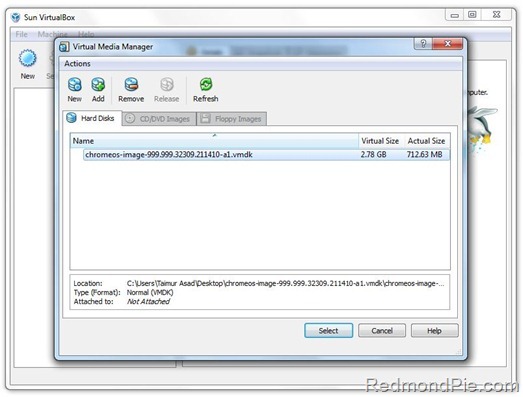 VMware Workstation can also be used to install and run Chrome OS VM in Windows 7. Step 3: Start VirtualBox and click on “New” button. This will start a wizard that will help you create a new VM in VirtualBox. Step 4: Name your VM “Chrome OS” and select “Linux” from Operating System dropdown menu, and “Other Linux” from Version dropdown menu. Now simply click on the green colored “Start” button as seen in the screenshot above and wait for about 7 seconds for Chrome OS to boot up. You will need a valid Google ID to login into the operating system. 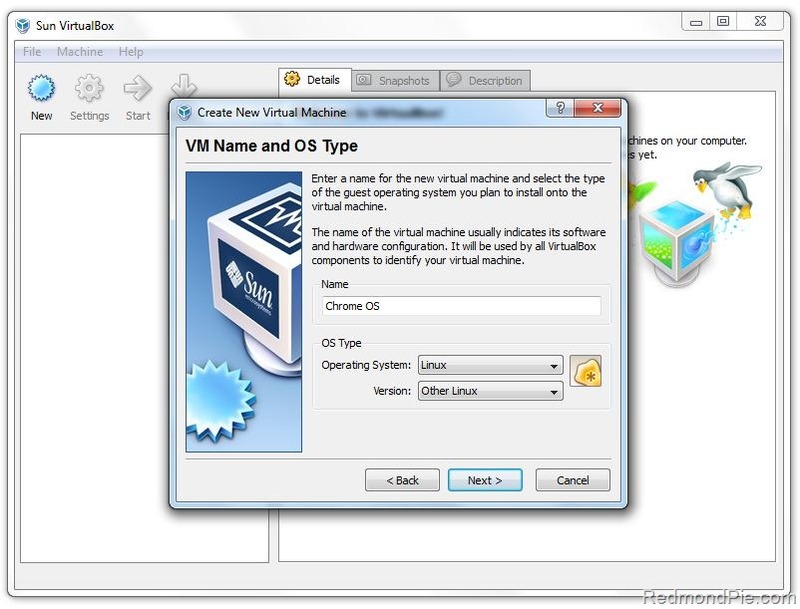 Feel free to ask me any question should you run into any problem in getting Chrome OS VM to work under Windows 7. You can follow me on twitter or join our facebook fanpage to keep yourself updated on all the latest Google Chrome OS releases. got it running. can't for my life get the network adapter to work in windows 7. Always says not connected when trying to log in to chrome os. I think you have to bridge your network connections to get it to work. My network doesnt work on vitual box, I don't know how to fix it! In Another OS it's working fine. Somebody knows how can I fix it? I wanna try Chrome OS! I still can't get the network adapter to work in VirtualBox & therefore can't log in. I've tried all the listed adapters and in NAT & Bridge connection mode. 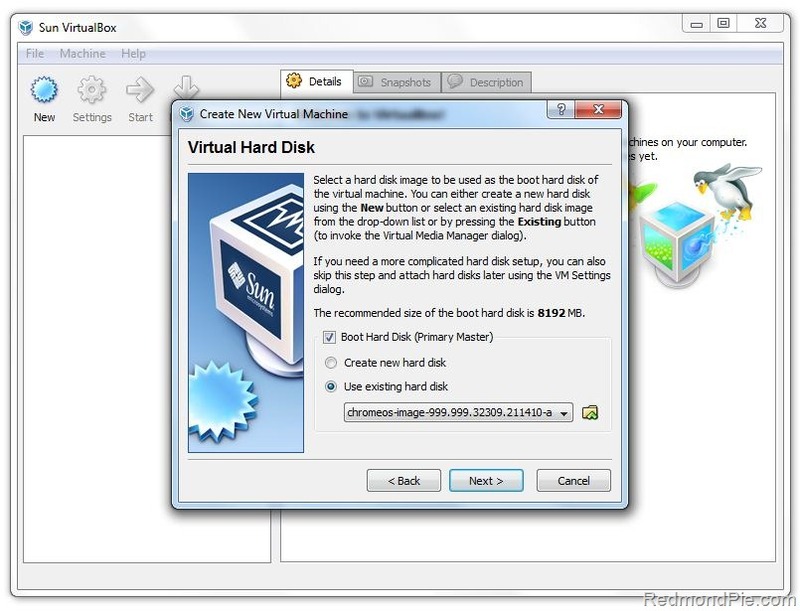 Getiing 'failed to open harddisk….' ..'Cannot register harddisk' error.! my mouse is not working in Virtual box when Chrome OS is running? 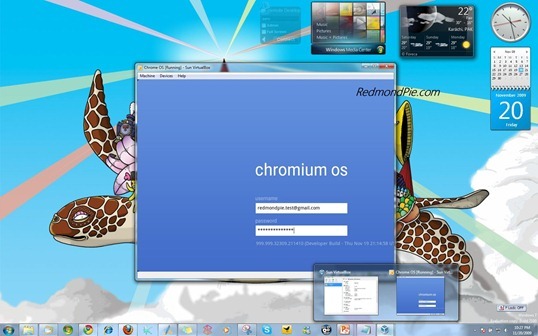 Chromium, is an edited, open source, version of Chrome OS. It takes part of it, to make it workable with open source programs. So, technically, it is Chrome OS, since it uses Chrome's Engine. And Chrome's Engine is pretty new. Hi. 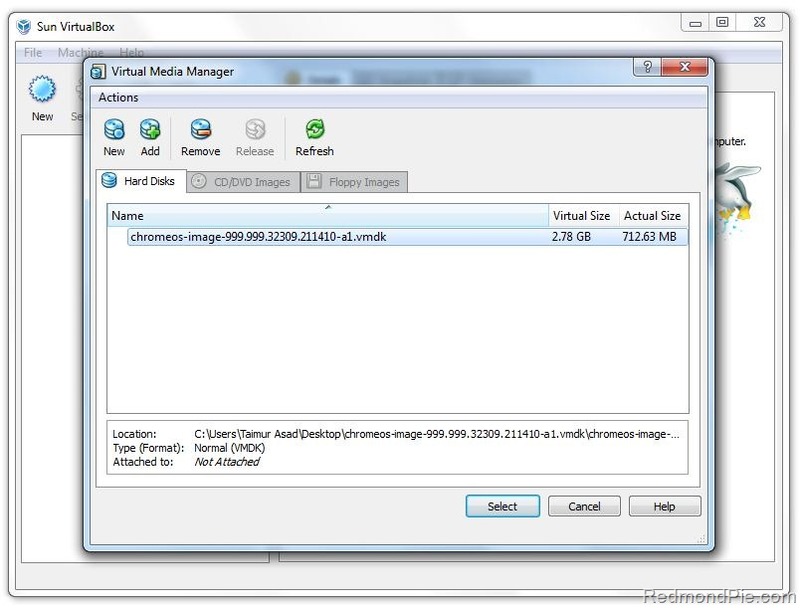 The image file link downloads a file ending in .bz2 instead of .vdmk, which then won't open in Virtual Box. Any ideas? Thanks very much! It's the other way around, chrome is based on chromium..
this isnt fake. This is indeed the Google Chrome OS Preview Build for Developers. Only get to the login screen. Input the gmail account + password, keep getting network card failure. changed to all combination just won't login. Chromium OS is Google way of saying this is for testing. They won't change the name to Chrome OS officially unilt they reveal the final product. The browser was and is the same way. Yeah .bz2 is a compression formate used in linux, and you can download tools that will uncomppress it to what ever folder you want it to be in. Try updating the drivers for the hypervisor. Or something. 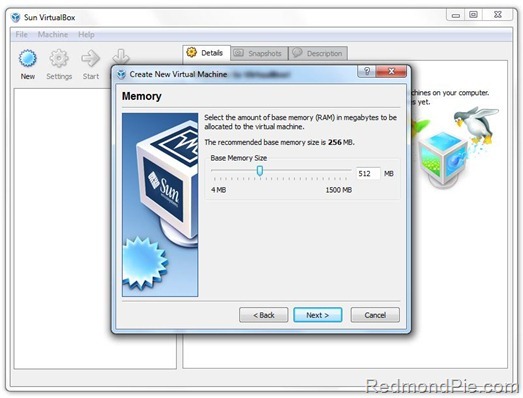 Maybe the setting just need to be tweaked for the vm machine to see it, and work it. I am also unable to get any networking to work, therefore I cannot login. So far, I have not seen anyone post a clear answer on this. Taimur, I really appreciate you putting the page up. I'm curious, have you (or anyone else) been able to actually login, and, if so, how exactly did you setup networking in Virtual Box? Thanks very much! I tried it. It's BORING!!!! Seems the OS is nothing more than the Chrome Browser plastered on top of the good 'ol Linux kernel. Nothing to see here folks, just move along. please, we need a CHROME OS WIZZARD SETUP for windows. EASY guys! I allocated 1024MB is memory, still the Chrome OS was very slow.